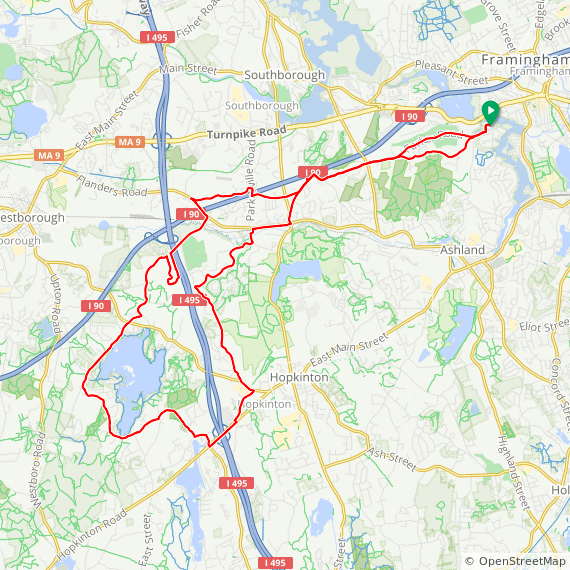 The super short (SS) ride meanders southwest from Framingham to Ashland, Southborough and Hopkinton. The short (S) ride adds Upton. Both rides are rolling. The lunch stop for the short ride is in Upton center. The super short ride has no lunch stop. 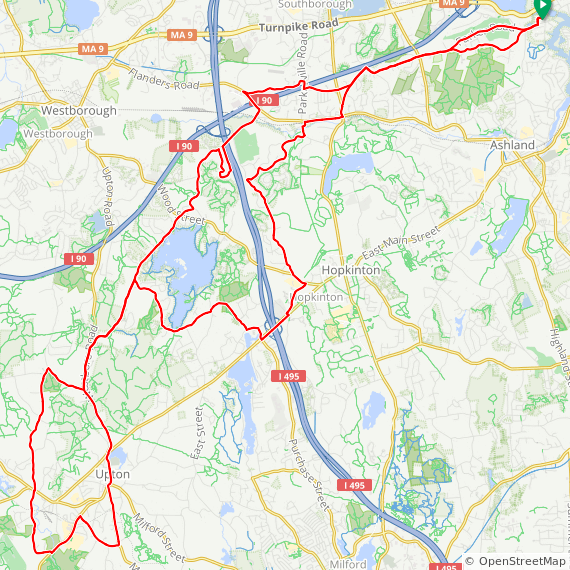 Most of the ride is on residential and rural roads with few traffic lights. Points of interest include Framingham Country Club, Charlie Chan's summer home, Whitehall Lake and State Park, scenic brooks, Upton State Forest, farms, llamas and the Ashland Town Forest. The ride is arrow assisted (at least one arrow before a turn). 10:30 AM for 26 or 39 miles on rolling terrain. From the Mass Pike take Exit 12, then Route 9 east to Temple St. (2nd traffic light). Right at end onto Salem End Rd. First right is Gryzboska Circle. Park on Gryzboska Circle.